We have new stockings this year (finally) but because of the curved front of our mantel, I have not found any stocking holders that work. This year we are going with some hooks we have hidden on the underside of the mantel, but next year I might have to take a page from Lindsay's book and make some DIY stocking holders. 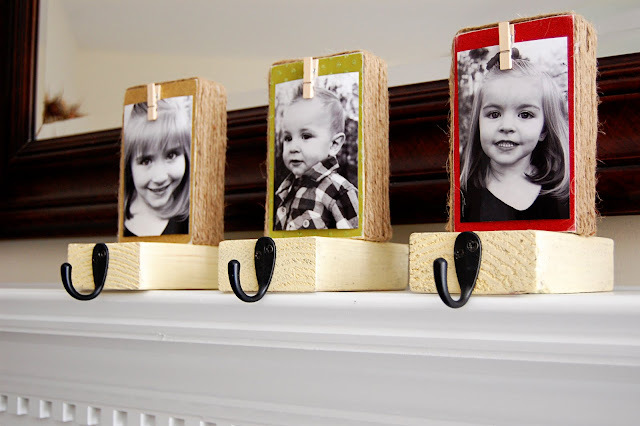 You can check out how to make DIY Personalized Stocking Holders over at Southern Lovely. Just Pinned on my Holiday Pinterest Board!